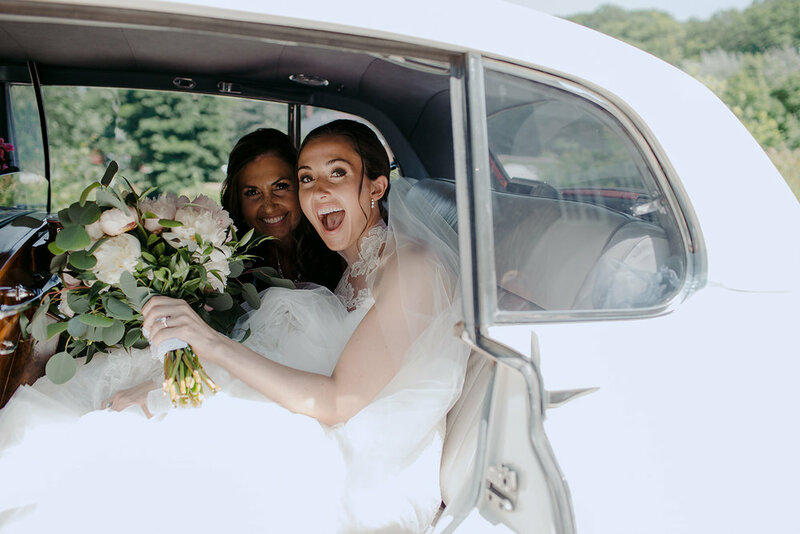 Sometimes it feels like I truly cannot say enough positive, glowing things about the Bride's I get to work with. 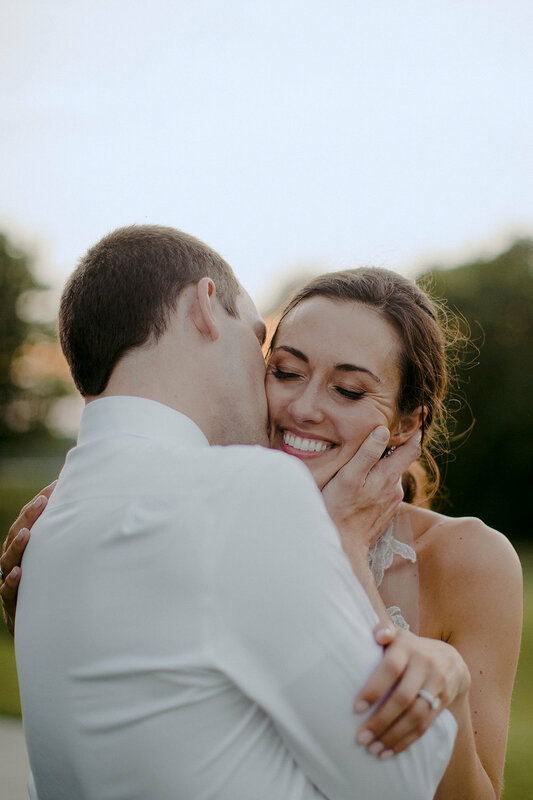 My heart feels SO full when I get to open a folder of photos from a wedding that, when the process of creating invitations begins, was just a vision. A color palette, a location, a date. Seeing it all come together is a warm blessing, and always makes me feel grateful that I had the opportunity to be a part of it. Looking through the photos from this particular wedding day was an absolute joy. I couldn't help smiling (....and even tearing up a bit?...) from every single picture, taken by the immensely talented Abbey Moore Photography. 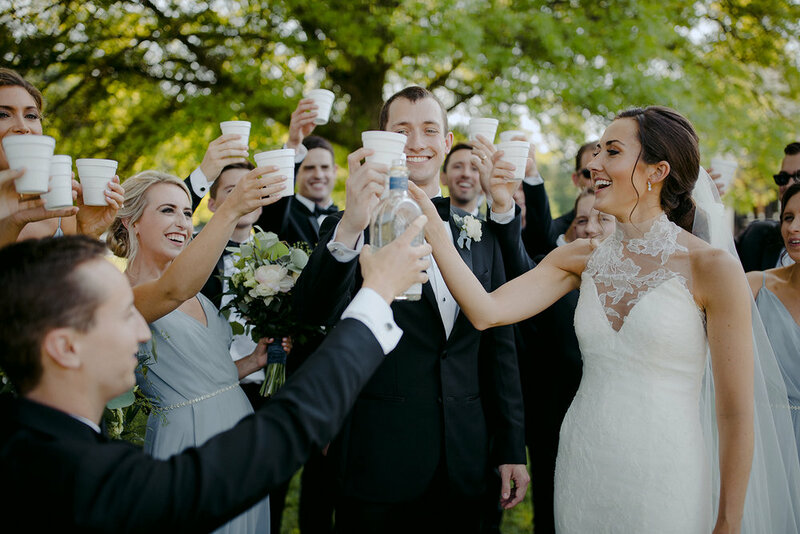 She was able to perfectly capture an incredible amount of love and happiness in such a beautiful and organic way. Lauren used the custom crest that we created for her in multiple creative ways, seen here embroidered on a beautiful ring pillow. 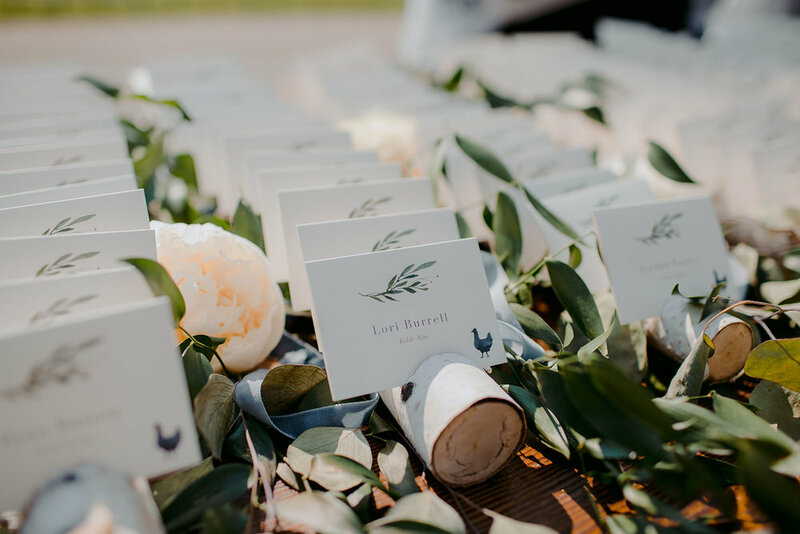 The whole process for creating Lauren's custom invitation suite and wedding day pieces began with the clear vision she had for her wedding. Elegant and romantic while still feeling organic, with touches of vintage inspiration. The choice to use both letterpress and digital printing makes the suite feel extra special. 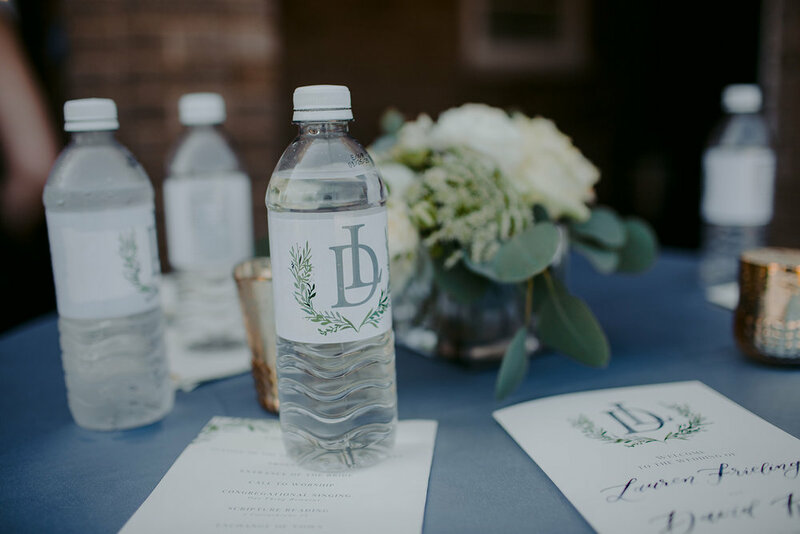 Specifically the watercolor greenery surrounding the gray letterpress illustration of the wedding venue, the Felt Mansion, is one of our favorite parts of the whole suite. 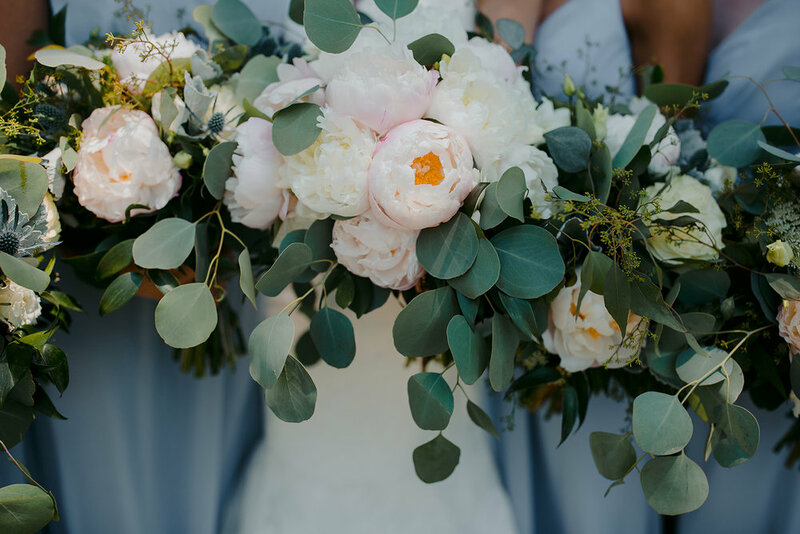 Lauren wanted all of the greenery pieces to feel natural in movement, and we were so over the moon with how it turned out. 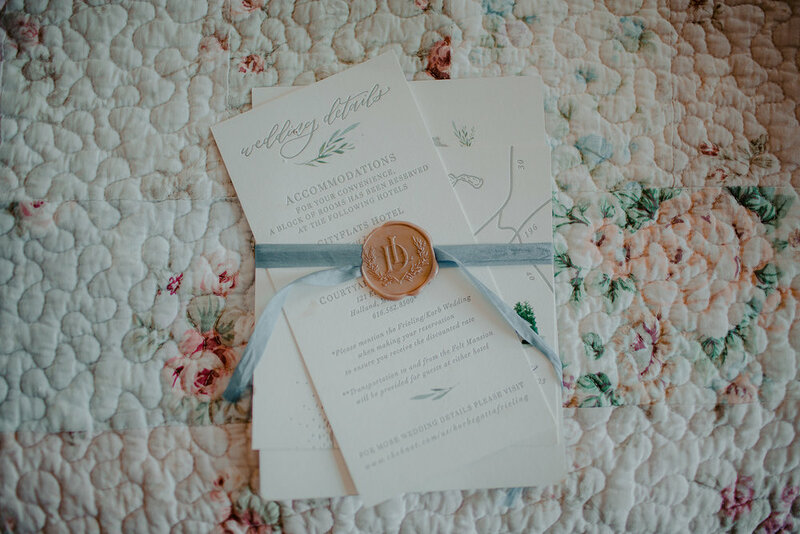 Wrapping the whole ensemble together in a thin dusty blue silk ribbon and custom wax seal is the final touch of vintage whimsy on this incredibly romantic invitation suite. I don't think it's possible to explain how hard it was to narrow down the amount of pictures I wanted to post of these two. Every single photo was more beautiful than the last. There is just SO much love here, and it truly radiates. 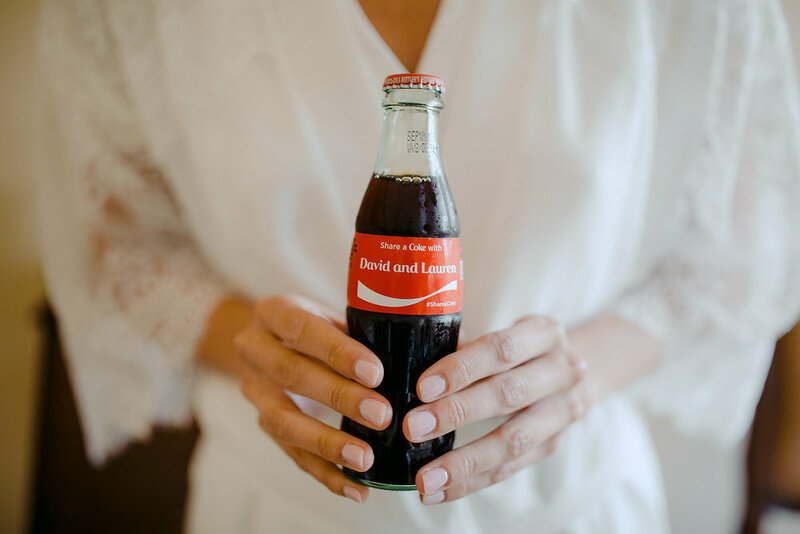 These are the photos that every person dreams of having of their wedding day. My heart is so full, and again, how amazing is Abbey Moore Photography?????? Along with designing Lauren's invitation suite, we were also lucky enough to work on several charming day-of pieces for her. The little labels for her macaron favor boxes are maybe one of the cutest day-of pieces we've ever worked on. We incorporated different greenery artwork from her invitations to make all of her paper goods cohesive and familiar. 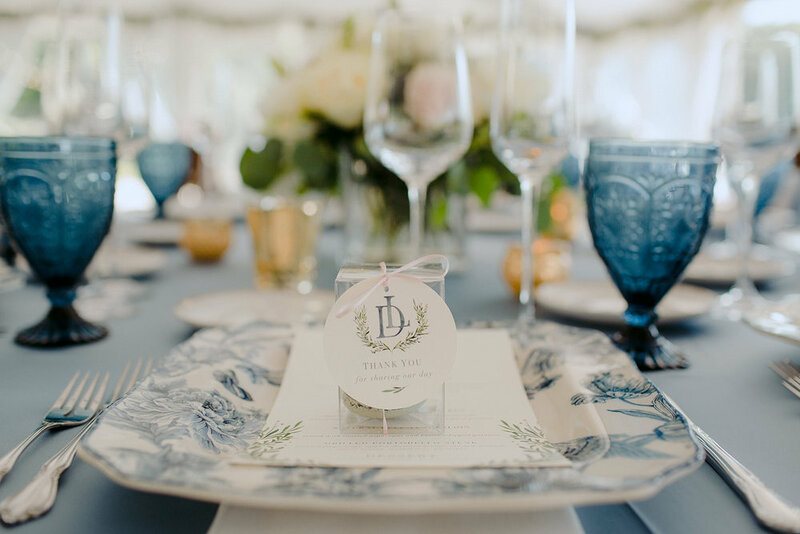 Even on smaller pieces like the dessert and place cards, a tiny bit of greenery is just the right amount to make it feel extra special. If it feels like I spent the majority of this post gushing, then you are spot on. From the very beginning of working with Lauren on her suite, I knew it was going to be a fantastic experience. 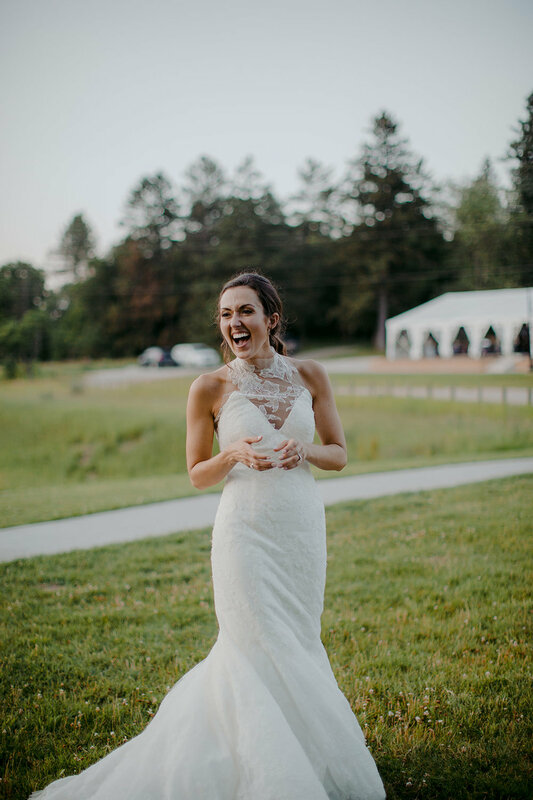 Working with her and her incredible planner Michelle, was an absolute dream. 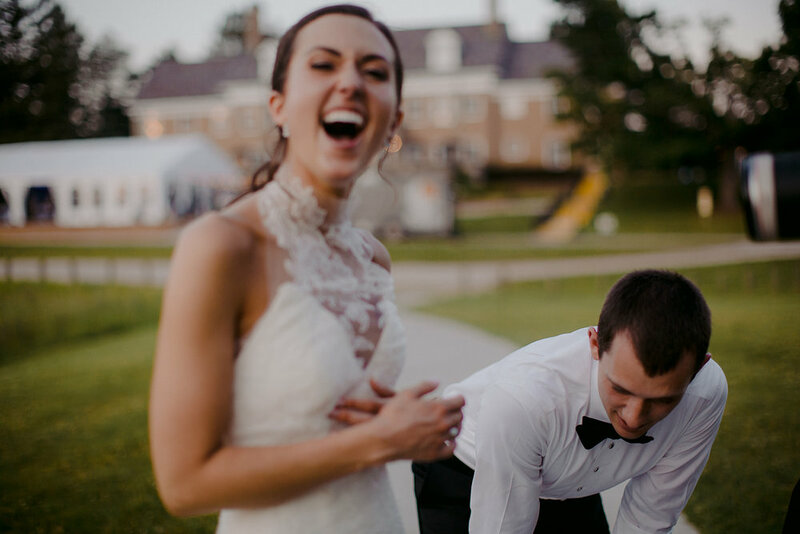 If Lauren and David's wedding photos are any indication of the future ahead, I know it will be filled with an infinite amount of love and laughter and support and warmth. I wish them nothing less than all of that and more!